In New York, one of Indian Point’s nuclear power plants was shut down Monday following an issue with a pump on the non-nuclear side. Control room operators shut down Buchanan-based Indian Point’s Unit 2 following a problem with the speed control system on one of the unit’s two main feedwater pumps. These pumps distribute water to the plant’s four steam generators to be reheated to make the steam required to generate electricity. This comes as Indian Point 3 returned to power June 22 after being taken offline June 12 to replace two water seals that sit between the lid of the reactor and the reactor vessel. In both cases, there was no release of radioactivity and no threat to the safety of workers or the public. BUCHANAN, N.Y. — One of two nuclear power plants at Indian Point in Westchester County is being shut down to replace leaky water seals. Entergy Corporation says the Unit 3 power plant 30 miles north of New York City will be shut down Sunday night to replace two water seals between the lid of the reactor and the reactor vessel. The company says operators have been monitoring slight water leakage for several weeks, but there was no threat of radiation release or danger to public or worker safety. Unit 3 returned to service May 18 after a $100 million maintenance and refueling project. Unit 2 is currently operating at full power. Indian Point has been on the shores of the Hudson River in Buchanan, New York since 1962. It’s just 25 miles from New York City. Earlier this year, Gov. 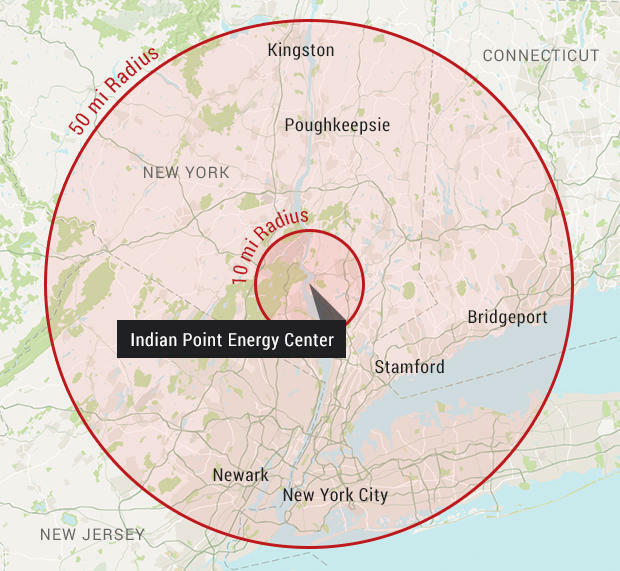 Andrew Cuomo, a longtime opponent of Indian Point, and Entergy reached a deal to shut down Indian Point entirely by April 2021. In two previous articles, von Hippel and Schoeppner released figures that correct for these and other errors and omissions. They found that millions of residents in surrounding communities would have to relocate for years, resulting in total damages of $2 trillion — nearly 20 times the NRC’s result. Considering the nuclear industry is only legally liable for $13.6 billion, thanks to the Price Anderson Act of 1957, U.S. taxpayers would have to cover the remaining costs.